and their transition into the town as it exists today. This documentation will be made available through this website and from an exhibit of a scale model of the airport and residential area as it was during the early 1950’s located in the NAAM. 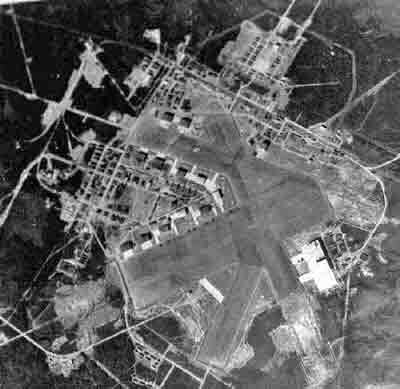 We begin with a brief history of the Gander Airport and the eventual beginning of an incorporated town, with links to published articles in 1959 by two well known pioneers, Mr. Rex Tilley and Mr. Eli Baker. The Gander Beacon in 1986 published an article on the History of Gander International Airport. These links will give a synopsis of what this website will endeavor to present. It is our hope that interest will be generated so that other artifacts of documents, reports and photographs will come to light that have been misplaced over the period of time. The website will cover the four eras, listed in the column to the left, up to include the transition into a new residential area for the people who lived at Gander Airport. It will be about the history of an airport that arose from the wilderness and became a town . The GAHS will work closely with other historical/heritage societies in the exchange of documents and photographs. Those wishing to pass along, any photographic or items as it relates to these eras will be greatly appreciated. More information on the GAHS can be found in the links below.